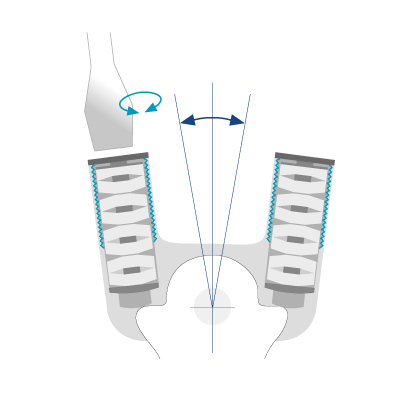 A modern orthotic concept is expected to be optimally adjusted to the patient‘s needs. This is the only way to achieve all goals with just one AFO or KAFO. 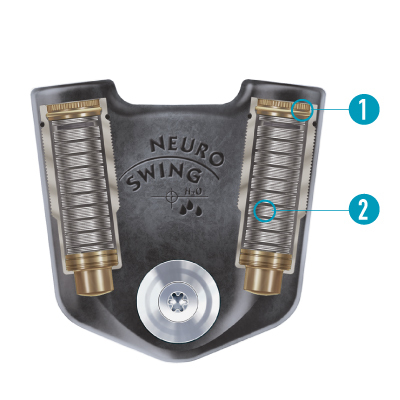 For this purpose, the adjustable NEURO SWING H2O system ankle joint has been developed. Due to its adjustable alignment and the interchangeable spring units, it can be easily adapted to possible changes in the pathological gait during the course of the therapy. The fact that the NEURO SWING H2O system ankle joint powerful springs can be used in outdoor areas and in all weathers is another great advantage. 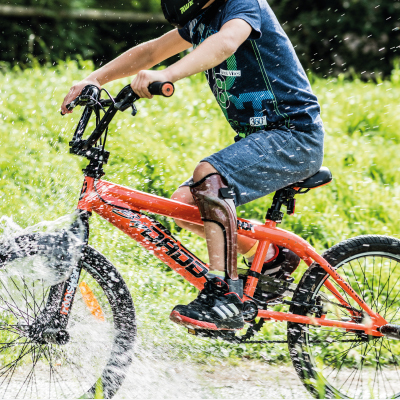 The NEURO SWING H20 System Ankle Joint - Dirt - and Water - Resistant in all Situations. 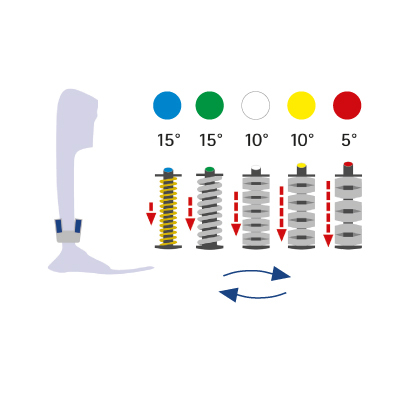 Since the orthosis must be aligned in such a way that it provides the required lever effect, it is necessary to use an adjustable ankle joint. On the one hand to align the orthosis matching the patient’s pathological gait and on the other hand to easily and flexibly adapt it to changes in gait. Thanks to the adjustable alignment of the NEURO SWING H2O system ankle joint, tuning the orthosis is perfectly possible. The spring force in plantar flexion and dorsiflex- ion can be individually and easily adjusted to the patient’s pathological gait by using spring units of different strength. There are five spring units from normal to extra strong. Each spring unit determines the maximum range of motion. They are available for 5°, 10° and 15° range of motion.